It feels wrong that TWQ just stopped without reason, and I feel I owe those of you who participated / watched TWQ an explanation, or nine. Most of you know I work full-time and juggle my writing around work and family life. The workload at work, which was already quadruple what it was last year, ramped up into overdrive in July and has now reached a point where bringing work home with me of an evening is the only way I can get projects finished. For the first half of July I really tried to keep up with editing, vlogging, and writing on top of my paying job, but the stress was too much, and for my mental and physical well-being, something had to give. Sadly, the job that pays my bills took precedence and after effectively working twelve hour days, for several weeks straight, I didn’t have the brain power to think creatively. Hell, if it required anything more than sitting on a couch watching television, it was too much. My job title should be professional problem solver. By the time I came home each day, the creative part of my brain was drained, My energy bank for dealing with people was empty, and there was no incoming ideas from viewers to suggest new topics, which meant I had nothing to offer. The Muse was talking, but I didn’t have the energy to note down anything she showed me for my stories, there was no chance I could summon the will power to come up with topics I thought people might be interested in, let alone make a vlog about it. It’s Winter here. Add stress to the mix and getting a cold or flu was pretty much expected. When I’m sick, I like to lock myself away from the human race and escape from reality. Since I scored three days off work, I finally had the brain power to write the things the Muse had showed me on repeat. Three days equaled nearly eight chapters. That’s the most decent writing I’ve managed all year. Three days straight of writing instead of the occasional paragraph every few weeks. It was great. As soon as I was well enough to go back to work, the writing ended. Seriously, I intended to take a week or two max to get back on top of things and get back on my vlogging horse. Unfortunately, if given the opportunity not to do something, or doubt my ability to do something, I will procrastinate on it till the cows come home – I live in suburbia now, there is little chance of cows. So, after going a few weeks without vlogging, and still struggling to find the creativity and energy to make something for you, I didn’t. I told you I’m the queen of procrastination! A few weeks ago, I came up with an idea to change what I was blogging about. I decided, to remain motivated, I needed a theme. Something to base my blogs about other than me. I mean, I’m interesting and all that, but there is only so much I can talk about me. So, I made the decision to kill the Weekly Quickie and start working on an idea that was more me. I want to talk about things I’m passionate about, things I’m really interested in, and things that to you as readers can relate. The Weekly Quickie is no more. I’m working on a new blog series for you, but as an extra, I’ve got the Ask Ebony form. If you want to ask me a question, you can fill in the form and choose how you want me to answer it. I’ll do this via Social Media live, or as part of my blog series. It’s your choice how I respond. 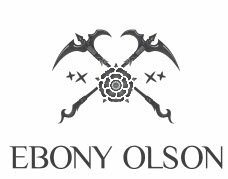 I’m going to take a while to develop the vlogs, but feel free to click on the Ask Ebony link above and hit me up in the meantime.